Writing and recording an album is quite some undertaking. Each of my albums have taken on their own personality as each note has been played and recorded. During Herne’s Apprentice I was excited and nervous to see how my music would be received by people. Hills they are Hollow was probably the most gentle ride of all, as I’d found my feet and was thoroughly enjoying finding my way around the recording studio. The difficult third album was not so difficult in the end and, on the whole, Spirit of Albion flowed beautifully. It was my fourth album The Cauldron Born that gave me my biggest challenge. 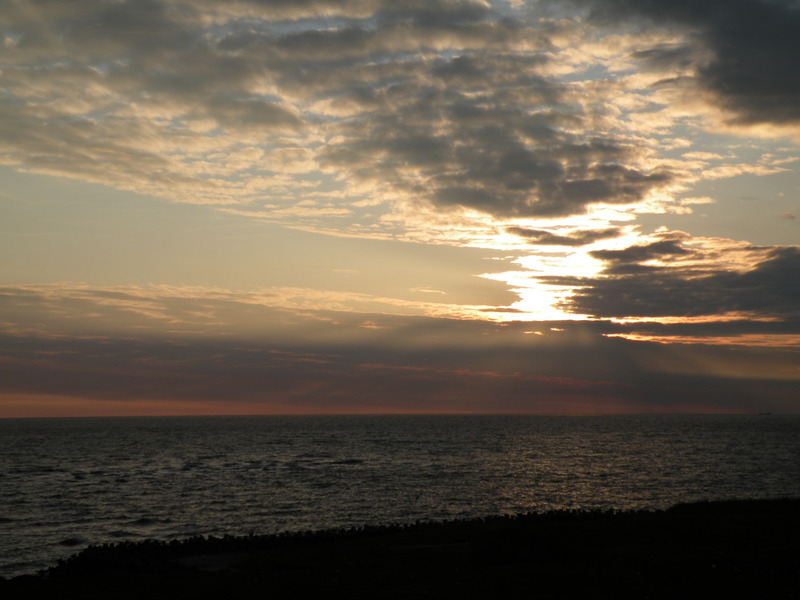 Songs were coming that were deeply personal (Imramma – A Soul Quest), some political (Only Human), some written with an aim of putting the record straight (Green and Grey), whilst others told of a deep inner need to reconnect to the natural world (Land, Sky and Sea). The Cauldron Born lived up to its title as it felt like it was torn from my very soul, as I looked back into the depths of the Cauldron, and saw my own reflection. I think it might have been this experience that led me to change direction with my next studio album by recording an album of classic traditional folk songs in Tales from the Crow Man. Some people ask why I did that, and the truth is that I really felt the need to give something back. I’d recorded a few folk songs on my previous albums (such as Raggel Taggle Gypsies and John Barleycorn), and each time I played these songs I became aware of a huge pyramid of ancestors stretching back behind me made up of all of the people who had sung these songs over the centuries. Nobody knows who wrote them, and that to me is part of the magic, but they are still being sung. These old folk songs tell of our human experience, and a folk song has to do that otherwise people will stop singing it, and it’ll disappear. So I chose the songs that had moved me the most over the years and went back into the studio. I quickly realised that I didn’t just want to re-record covers of these songs, I wanted to really get to know them, explore them, feel them, then make my own mark on them, and that’s what I did, and that’s why Tales from the Crow Man was the hardest album of all. There was a pressure and a responsibility there that I wouldn’t deny. So it took a while, and it also took Cerri coming up with the concept of the Crow Man, this mysterious figure in the field outside the village that had seen the events of all of these songs happen. So he told his tales, and in the end I was really pleased with the result. Last year I released my first live album As Nature Intended, and it is really lovely to have that available for those who simply cannot get to one my shows, and for those that can, but want to relive the experience. I am now halfway through recording my latest album, and it has already taken on a life of its own. It has taken this amount of time to tell me its name – as I’ve recorded the songs I’ve realised that it is a return to my roots. I am writing and singing about our myths, the land, and the Greenwood again, and it feels wonderful. This return to my roots led me to think about what it is that keeps drawing me to these subjects, and it is the mysticism, the spiritual connection to the beliefs and ways of our ancestors. And when I look into the mists of the green I always find the Lord of the Wildwood staring straight back at me. So this album will be called Antlered Crown and Standing Stone. I said I was aiming at a March release but as usual I’ve been a little optimistic… So I will keep writing, and recording, and when it’s ready, it will be born. Can’t get your head around the Oak/Holly King cycle? Since my last post I’ve heard from a number of people who cannot get their heads around the Oak/Holly King cycle. I was always confused about this too until I realised that I was trying to fit a ‘cosmic’ event into an agricultural cycle. It clicked when I realised that the Oak/Holly King is about light and the Sun, and this is personified by the evergreen Holly and the mighty Oak. So at the Winter Solstice, at the time of greatest dark, the King of the Waxing Year is born and crowned, symbolised to many as The Mabon, and within this mythos as The Oak King. His light grows throughout the Waxing half of the year until the Summer Solstice, his Zenith, the Longest Day. But at this time the Holly King is also born, and the crown is passed over to the King of the Waning Year who rules until the Winter Solstice when the Wheel turns once more. So the Oak/Holly King cycle doesn’t fit very well into the agricultural cycle of the 8 festivals of the modern Pagan Wheel of the Year as that is more about temperature and things that grow. This cycle is much more about the activity of the great Eye of Bel, the King of our Solar System, our Sun. The Oak/Holly King cycle is his mythos, the symbolism of his Journey. At least that’s how it works for me. Concert at the Royal Albert Hall? Make it so! It’s good to have role models in life. People who have achieved something that you admire, and maybe aspire to yourself. To look at how they did what they did, and maybe use that as a model. One of my role models is the folk band Show of Hands. They are a folk duo made up of Steve Knightley (the main song writer) and Phil Beer (the instrumental genius who takes Steve’s songs to an altogether higher level). They have, from the beginning, remained independent of any major label, they set up their own tours, they are in control of their music and life direction. All wonderful inspiring things. Then one year they decided that if all of their fans came along, they could fill the Royal Albert Hall. It was a huge risk for an independent folk band, but they went for it, and it worked. they had the support of their fans to do something outstanding. 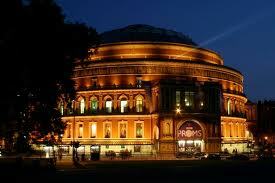 It had to be the Royal Albert Hall too. It’s a venue full of tradition and beauty with great acoustics. So when I saw this it must have laid an idea in my head. When my Facebook page reached 5000 likes I jokingly said, “If you all came along we could fill the Royal Albert Hall,” and a lot of people said they’d come along. I’m now at just over 7000 likes on the page and I thought it was about time to get the ball rolling! So at this early stage I’ve set up a Facebook page for the concert. In the first day it got 615 likes, but I’d like to keep the momentum going, hence this blog post. If you would come along just ‘like’ the page, and over time we might reach that magic 5000 likes and we can make it a reality. So what about some detail? I see this happening in the next 2 years. At the moment the lineup for the evening is myself and possibly two or three other acts. I really don’t know how long you get the venue for. Who these other performers will be is still a way off any announcement yet. My concert will not be a regular Damh the Bard concert. For just this gig I will form a band to play with me, there will be guests, lots of surprises, it will be a magical, one off, night, and it will be recorded for a live album. Maybe a live DVD also – well you’d have to wouldn’t you! It’s going to cost a lot of money to put this event on, and there is quite a lot of financial risk, to say the least. But it would be my aim to keep the concert as affordable as possible, taking the venue and costs into consideration. Here it is folks, the final Production Diary from the Spirit of Albion movie. I love the way our Pagan Wheel of the Year works its magic. 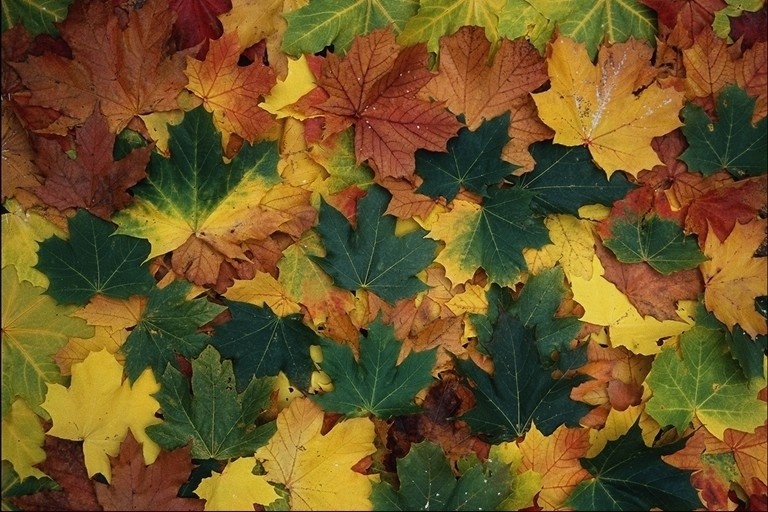 It lies at the very heart of my spiritual life and I’m sure, like many other Pagans, the more I have worked with it, the more my own life has changed to reflect the turning of the seasons. So now, as the nights have drawn in, and the leaves have fallen once more to the ground to nourish next year’s growth, I too can feel the busy-ness of my own life changing. But just as the birds and animals are still busy searching for food, so I am searching for the Awen to inspire new songs, and to bless me with the insight for the arrangements of the songs I’ve already written. I’m heading back into the studio to record a new album – the first album of my own songs since The Cauldron Born released in late 2008. I have a couple more concerts this year, and a couple early in 2012, but I have consciously created a space for that Awen to enter. And as I look outside at the late Autumn day I can see and feel that the energy is right. The origin of some people’s inspiration is action, from friction and intense activity. Some people find their spiritual connections also come from that space, from drumming and dancing, screaming and chanting. I love that too, but I also know that the foundation of my inspiration comes from stillness, from peace. And that is another reason why I love the Wheel of the Year. The Spring and Summer are times of activity, when I am out playing at festivals, dancing around a burning Wickerman, running through a labyrinth, losing myself to the fire and power of the Pagan drummers. So when Autumn and Winter arrive I am ready to welcome their energy too – energies of reflection, and peace. I know that my spiritual life is enhanced by these changes. If all I knew was hot, how could I fully understand and appreciate it if I never felt cold? If all I knew was light, how could I fully understand and appreciate it if I never knew darkness? So if all I knew was wildness, how would I fully understand and appreciate it if I didn’t know stillness and peace? The Ancestor is standing at the Threshold. The woodland is still, and filled with the aroma of decaying leaves. And I am now ready to approach the Ancestor, to seek entry into the Grove of Reflection, to sit in stillness with eyes open, and to allow the woodland to accept my presence. Only then will the Faerie come out once more to dance, to show themselves to me, and allow me to hear their music. 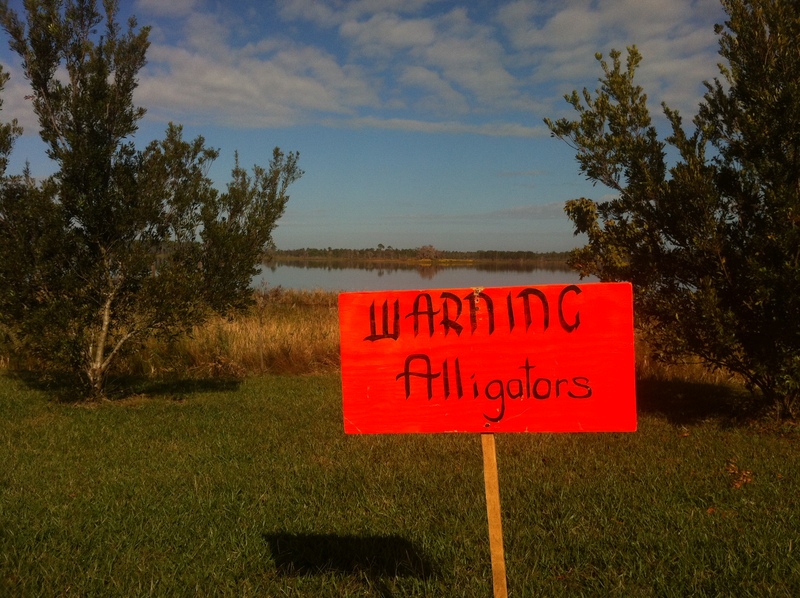 Tales from the Road – Here be GATORS! It probably seems like a crazy idea to go to Florida for a long weekend, but that is what we did. Hopping on a plane at 9.30 on Wednesday morning we flew to Chicago, then on to Orlando where we were met by the lovely Ashley, one of the crew for the Samhain Florida Pagan Gathering. We arrived at the campsite in the dark, but I couldn’t help but notice the ‘Beware of the Bears’ sign as we drove in. We were shown our cabin which we were sharing with the author M R Sellars and his lovely wife, took some dinner, then headed straight to bed as the jet lag just caught up with us. When we got up the next morning (after waking up at around 5am wondering where I was, remembering, then going back to sleep – something that’s happened quite a bit this year) we opened the door to the cabin and took in the sight that greeted us. The venue was beside a big lake, and on this morning it was so still as to be mirror-like in its splendour. After breakfast we took a walk around the site, and down to the lakeside where we saw the Warning Alligators sign – not a sign I’ve ever seen at our UK Pagan festivals! 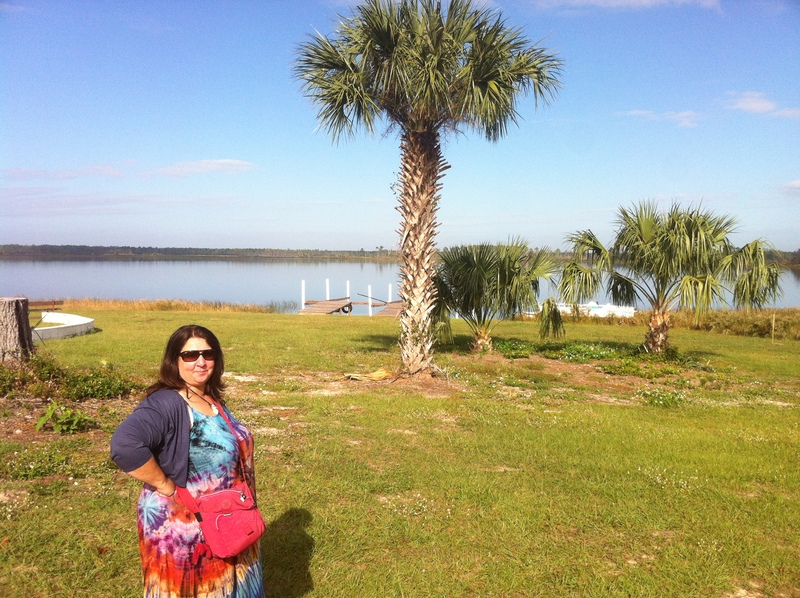 We spent Thursday meeting up with new friends and old, and chilled under the Florida sunshine. Friday was different. A chill wind had blown in and the lake was no longer its mirrored self. We held a poetry workshop by the windblown lakeshore, and then in the afternoon I led an Ogam workshop, also somewhat colder, but both a delight to lead. Then I began to prepare for my evening’s concert. The venue was perfect, and Paul, the sound engineer was a delight to work with. In no time I had the sound I liked. Now, I have to say that I don’t like waiting to play. Once I’m ready I just cannot wait to get on with it. But before long people arrived and I was ready to start. I took the stage, and, said “Hello!”….. and every light in the entire venue went out. I was in pitch darkness. I thought it was part of the show, and other lights would come on, but they didn’t. So there was nothng else to do but to play a bit with the situation. I got really close to the mic and in a deep voice that boomed out of the darkness I said. “Welcome to the Underworld, did you think it would look different?” Some giggles from the audience in the blackness, then a few turned on torches to light me up. 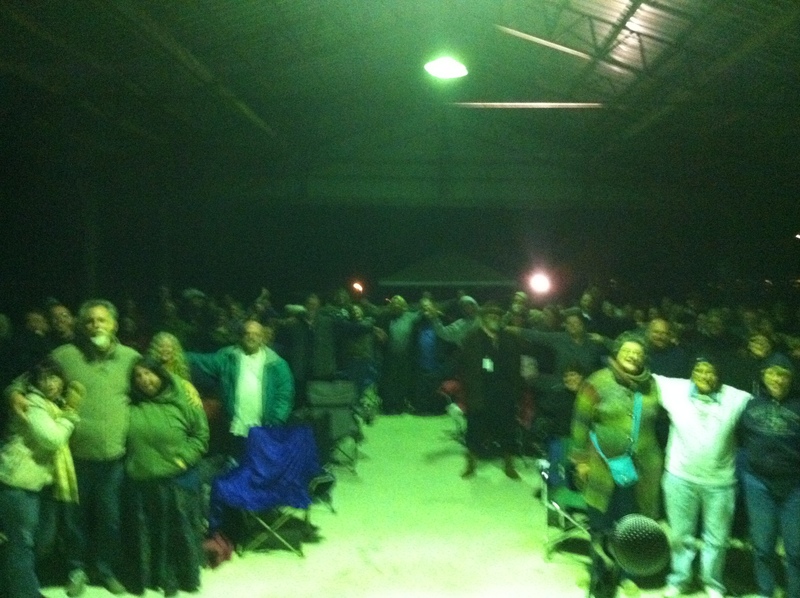 I could see a few people rushing around at the back of the venue, and thought I’d better start – I could just see with the audiences’ torchlight. So I opened with Song of Awen, and during the song the lights came back on, and the show continued. What had happened was a lady with a mobility scooter had plugged her vehicle in outside the venue, couldn’t see a charging light, so flicked the switch above the plug, and in doing so she turned off all of the lights in the venue. She was so apologetic afterwards, but it really wasn’t a problem – things like that often give me the opportunity to play the fool a bit more, and certainly keep me on my toes. We all had a wonderful evening together, as did those who came along for the encore concert on Saturday lunchtime. There were times when I was sitting with friends, and I felt the Sun on my skin, so I just soaked it up. I knew that it would be the last time I felt that warmth until maybe April of May 2012, and those of you who know me will know I am a true Sun worshipper, and miss the light and heat deeply. 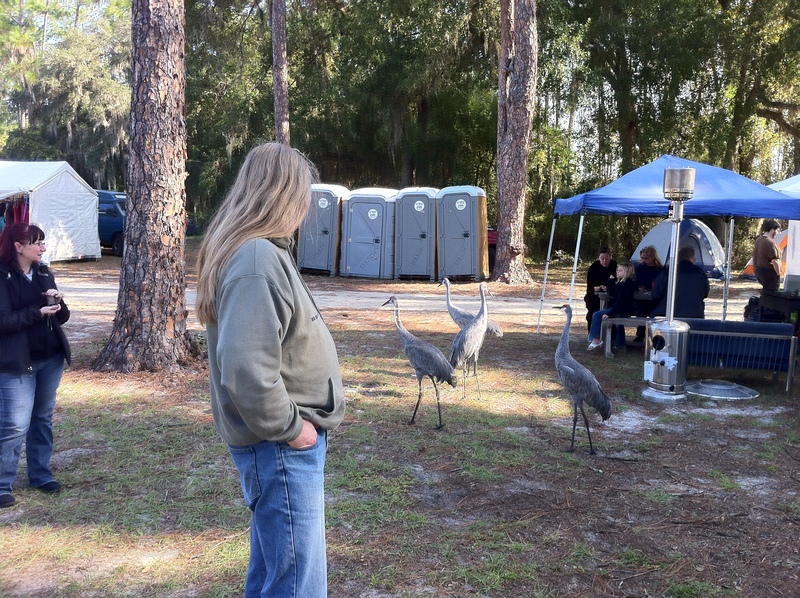 Sharing the campsite with beautiful red-cap cranes was quite an experience, and I marvelled at the aerial acrobatics of the black wing and turkey vultures, but I almost cried when the bald eagle flew overhead. But soon it was Sunday, and so early in the morning we left with our friends and headed to a Cracker Barrell before being dropped back at the airport. We had the most wonderful time at the Florida Pagan Gathering. The organisers, the other headliners, and the visitors were so lovely, and I just know it won’t be our last visit there. Thanks to everyone who made our trip, the workshops, and the concerts, so enjoyable. Oh, and thanks for all the mead too! !